After leaving the lot at BMW of Westchester, your BMW 330i will eventually need maintenance. It’s just the truth about cars; they all need a little bit of attention every now and again. 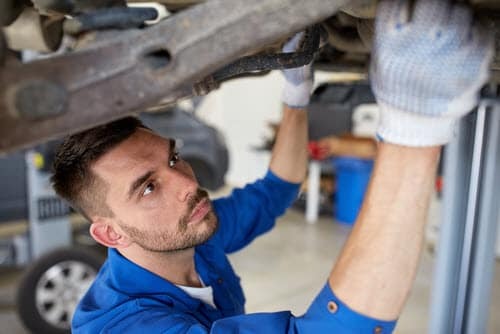 Our experienced maintenance team has serviced vehicles of Westchester County, Yonkers, and Hartsdale residents for years. So, if you’re the owner of the sporty 330i, you probably know that it’s a fun, agile car to drive, with plenty of interior features that make it special. Taking care of your important purchase ensures it will run for years to come. services that must be completed when the odometer hits that number. 10,000 Miles: The oil will need to be changed at this point. The oil filter will also be replaced. Fresh oil keeps the engine running smoothly. We’ll also top off coolant and inspect other fluids. Coolant maintains efficiency and prevents the 330i from overheating. 20,000 Miles: For your engine to perform, clean fuel is a requirement. Fuel filters clean fuel and ensure it flows into the engine and combustion chamber. The filter will be checked to ensure it’s working properly and will be replaced if needed. 30,000 Miles: Brake fluid will receive a check at the 30,000-mile mark. When pressing on the brake pedal, the fluid moves down the brake lines to the front and rear brakes, stopping the vehicle. When there’s not enough fluid, your car won’t stop the way it should. To keep you and others safe, we’ll check the brake fluid. 60,000 Miles: Spark plugs are important to the success of your 2018 330i, and should be maintained properly. Spark plugs help your car power up and produce the right mix of air and fuel. They’ll be replaced at this mark, to ensure the engine runs smoothly. Now that you’ve had a chance to look over what maintenance your BMW needs, you’re ready to keep this sporty sedan road-ready as the miles tick up on the odometer. There are many benefits to performing regular maintenance, first of which is improved vehicle performance. 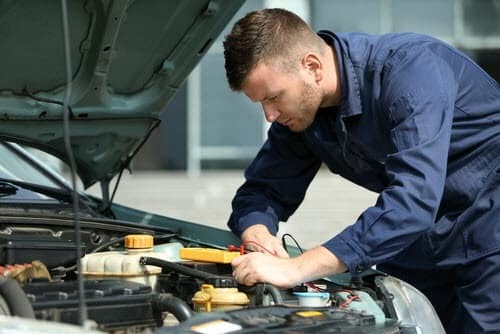 With regular maintenance, it’s also more likely that minor issues can be found in due time, preventing major issues that might go undetected without our professional technicians maintaining the car. This, in turn, keeps the resale value of the car high, should you ever choose to sell the car. It’s easy to schedule maintenance online, too. If you have any questions about maintenance, reach out to us today. For complete service of your 2018 BMW 330i, turn to BMW of Westchester. We’ve provided necessary service for luxury vehicle owners in Westchester County, Yonkers, and Hartsdale, and we look forward to working on your BMW next.